Tasked by President Kersti Kaljulaid with forming the new Estonian government, the Reform Party on Monday began seeking common ground with the Social Democratic Party (SDE). Neither Reform chairwoman Kaja Kallas nor SDE chairman Jevgeni Ossinovski seem to have much faith that they will be able to successfully form a government, however, daily Postimees reports. "We will not be able to form this coalition — not with just the two of us," Ms Kallas said. Mr Ossinovski likewise noted that they are under no illusions at this point. 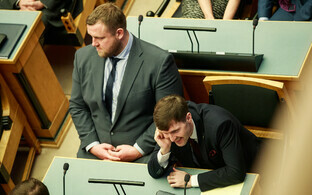 "Looking at last week's Riigikogu president elections — the people who said in private conversations that [the situation] is horrible and there is no way they could possibly vote for [EKRE candidate] Henn Põlluaas, then went and voted for him anyway, even in a secret ballot," he said. The two party chairs' lack of faith in their ability to drum up sufficient support for their plan begs the question why the parties are even meeting. Ms Kallas said that Reform's talks ith the SDE nevertheless hope to offer a better alternative. "The president also said that first and foremost, we have a conflict of values in our society," she explained. "Thus, we aim to formulate the values upon which the government should be based — a government that does not humiliate anyone, but instead remains open; a state that is open both in terms of society and the economy." 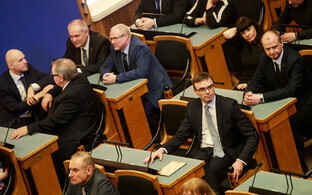 A coalition between the Reform Party and the SDE no doubt has very different values than the one that was currently formed by the Centre Party, the Conservative People's Party of Estonia (EKRE) and Isamaa. Mr Ossinovski said that it is right and fair for MPs and the public to have an alternative plan in the form of a forward-looking government. As candidate for prime minister, Ms Kallas, in addition to devising a plan for an alternative government, is also taking the opportunity to bring her party up to date with matters of the state. 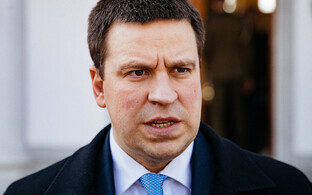 The Reform Party has been part of the opposition for nearly two and a half years, during which time it has been completely excluded from the ministries' work. 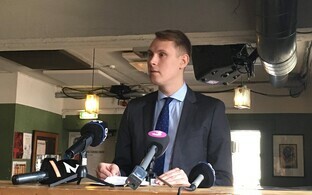 Pursuant to Estonian law, however, a candidate for prime minister is granted access to assistance by the Government Office as well as internal ministry information. "The Government Office will ensure support for the candidate for prime minister and the ministries will provide the help and information required," said Kristiina Tiimus, head of communication at the Government Office. The Government Office's support consists of providing required facilities as well as assistance in organising meetings with ministries.